We can assist your business trip! Here is some business related Facilities. We can help you to contact them for you if you need! with related items . 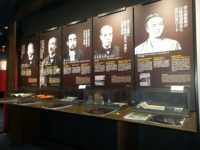 A special exhibition is held several times a year. The latest technology and products of SMEs are exhibited. We have many visitors coming. Your dedicated coordinator will be looking for your “looking for”. You can set up a technical consultation desk at the reception desk and obtain information on the latest manufacturing making it possible to match with the company.